A sparkling resume can be a one-way ticket to your dream job. In a competitive profession like tax, hiring managers use resumes to separate promising candidates from the rest. That’s why you need a resume that shines the best light on your skills, qualifications and achievements. Here are five useful tips for writing a winning resume. When applying for a job, it’s often necessary to customise your resume for each position and company. Employers look for different things, so take the time to carefully read their job advertisement and identify the specific skills they’re looking for. It also pays to check the company website to get a feel for the organisation’s personality and brand. Then match your resume to your prospective employer. For example, if they ask for specific skills, make sure you explain, in the ‘Skills’ section of your resume, how you meet each one. Although demonstrating experience is important in a job application, new graduates can also use academic achievements to catch a hiring manager’s eye. You can even begin your resume with an ‘Education’ section that includes brief details of your grades, along with the units in which you excelled, especially those units relating to tax, legal studies, accounting and communications disciplines. It also helps to include other qualifications in a format that’s easy to understand. Highlighting your credentials can make your application stand out and offers an opportunity to get ahead of the pack. Whether or not you’ve amassed a lengthy work history, it’s important to identify the achievements that match your career goals. For example, if you’ve completed an internship that is, in any way, associated with the tax profession, list the details. Other work experience can also be valuable, as it shows your employment history and provides potential references. You might prefer to list these roles under subheadings such as ‘Customer service experience’. Emphasise skills and personal attributes that are useful in your chosen profession, like communication skills, problem-solving, leadership and initiative. You may be tempted to list every task you carried out during an internship or work experience assignment, but it’s more effective to highlight how you improved processes and paved the way for positive change. For instance, if you implemented a new system or contributed to your employer’s success, don’t be afraid to spell this out. Make sure you also include extracurricular activities, coursework and achievements that illustrate these skills. They'll help you prove you’re the right person for the job. It’s important to be concise and to steer clear of convoluted jargon. Use simple, clear and professional language to communicate your skills and experience. Then, once you’ve written your resume, review and refine it. In fact, before you submit your application, ask a trusted friend or relative to proofread your resume. They should check for grammatical or spelling errors and help identify any parts that need tweaking. Writing a winning resume takes time and often requires that you think outside the box. If it’s time to revisit your resume, put aside a few hours to work on it. 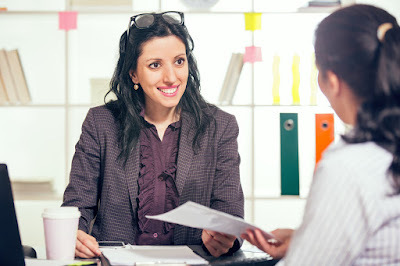 A well-written resume can place you in the best position to connect with your prospective employer and land your dream job. It is fundamental for us to deal with our very own self in such a decent way. The powerful part to go to this site is to take great eating routine like sustenance, veges, and different things of incredible use. What's more, for the wellness certainty we ought to need to do exercise and walk since they will make us progressively dynamic and keen in down to earth life. Here is some of the sample resume. All these resumes are certified from higher resume center you check more info here. Hope you need it and take help from it.